Shelter dogs are a breed apart, with special needs and challenges! 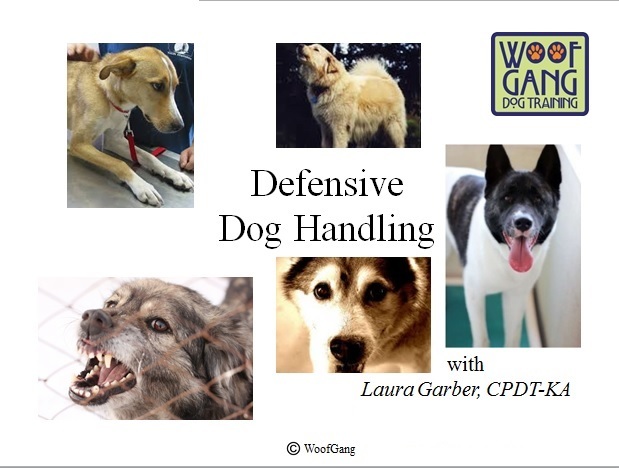 WoofGang strives to provide shelters with the tools and techniques for assessing, training, rehabilitating, and counseling for the shelter dog. Further, we offer staff and volunteer training services. I recommend her with great en-thusiasm and without qualifica-tion." "You worked tirelessly to improve the lives of the animals at the shelter, implementing many wonderful programs. You had a vision of what the behavior department could be, and then built it from the ground up. Because of your energy, passion and drive, hundreds of dogs and cats were able to find homes. I'm grateful to have been able to work with you--you taught me so much and I have enjoyed being part of the behavior team." Does your shelter want to train your staff and volunteers in Defensive Dog Handling? WoofGang offers a 90 minute seminar especially for shelters! Contact us to schedule a seminar. I thought bonding with Tilly would be the easy part. After all, I'm a shelter trainer... I love animals with a passion, and I connect with new dogs every day. For the easier dogs, I may only meet them once or twice before they're adopted and so the connection doesn't go that deep. 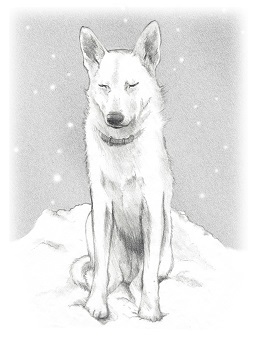 But with the more complex dogs, those who have faced some life challenges before they ever get to me, I spend time working through some behavior issues and so attachment happens. No amount of professionalism can avoid that. So I thought opening my eyes on day two to Tilly's sweet face and thick soft fur was all I would need to feel the permanence. But what I didn't count on was the sadness I still felt for Trista. I found I resented Tilly for not being Trista, for leaping and mouthing when seeking attention, for yelping when left alone, for chewing our possessions in an unsupervised moment, for all the things we had worked through with Trista so many years ago. But I needed to be patient, with myself and with her, and to keep my eye on the end game. I know that, with training and practice, someday in the not too distant future Tilly will be that perfect companion and best friend. As with any deep relationship, that kind of attachment takes time to grow and develop. Tilly was making huge strides. Her potty training was almost perfect. Her mouthing was gradually decreasing (though Mike often still allowed her to get away with it, which was not helping). She was getting more confident and social with people. She was becoming easier to love. What finally solidified my sense of commitment and attachment was when I took her back to the shelter to be spayed. I was matter of fact upon taking her in but I was suddenly upset when I left her in a cage in the surgical unit. Seeing her back in a cage in the shelter was painful in a way I hadn't anticipated. Tilly quickly went into surgery and before long a tech summoned me... Tilly had come out of the anesthesia very abruptly and was now flailing and inconsolable. Could I come to her? She looked wild-eyed when I saw her, but something in her face read relief when she saw me, though she continued her confused weaving and tossing. I rubbed her, then held her in a firm hug, reducing her range of motion to help her regain some calm, and soon enough, she did. She stood quietly, leaned against me. And before long she lay down and went to sleep. Tilly and I needed time to realize that we now belonged to each other. This stressful event helped us do that. But I can imagine that many adopters, without the tangible threat of loss that Tilly's spaying was to me, keep waiting for the attachment to happen while at the same time struggling with the challenges of the settling in period, and perhaps the former doesn't happen fast enough to make the latter tolerable. The lesson here is to not miss the forest for the trees. These early challenges are only temporary hurdles. The sooner these are resolved through training and management, the sooner you will experience the depth of shared love and life. Training truly is the language that binds.